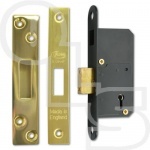 What is a Standard 5 Lever Deadlock? 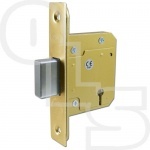 A Standard 5 lever Deadlock features a lower level of security than the British Standard Deadlock and should be used on internal doors only. 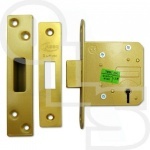 These locks have a deadbolt that can be locked or unlocked from either side. DID YOU KNOW? You can use our Filter Results tool to search for all Standard 5 Lever Deadlocks with a specific measurement or feature. Simply enter your parameters in the Filter tool on the left.